For use in preventing fine powder products from sifting out from the top of closed bag, and produces neat packaging which enhances product image. Applies 50mm wide crepe paper over top of a bag using a tape binding attachment. 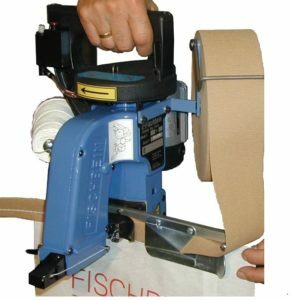 Tape binding attachment for tape sewing. Comprising of reel holder and crepe tapefolder with manual lever cutting blade. 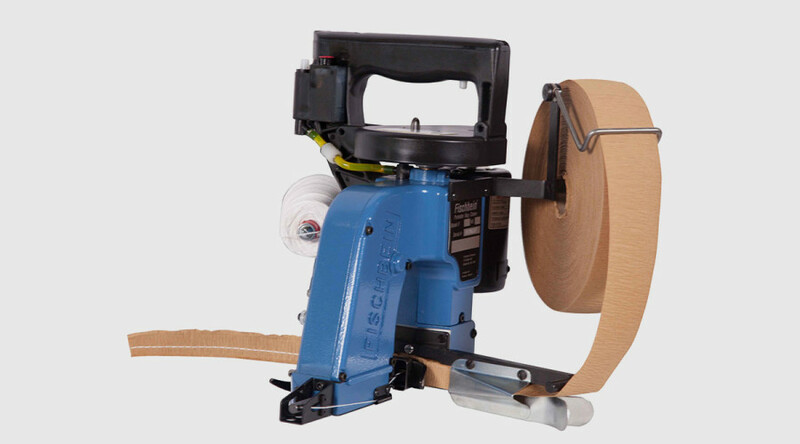 Unit is a standard model F with adapted tape binding unit. Can be modified on all Fischbein portable models. Crepe paper 50mm and 70mm wide. Available in manila(brown)or various colours to order.